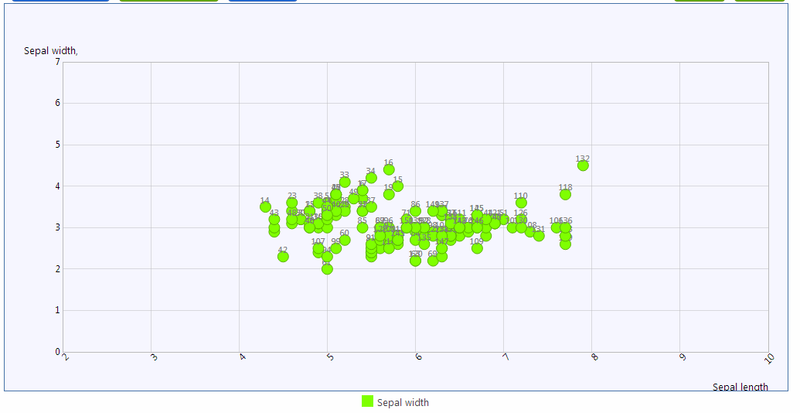 The scatter plot shows the correlation between two numbers (X and Y). Each data series (set of data dots) is color coded. When rendering, the visualizer will determine the visual range on the X and Y axis from data, from example, if the minimum and maximum value from your data is 2 and 5, respectively, then the axis will begin at 2 and end at 5.